But the survey also found that support grows significantly when parts of the proposed measure are clarified, as opposed to just reading voters the officially approved ballot title alone. That suggests a well-funded public education campaign by the measure’s organizers could be well positioned make history by making Oregon the first state in the country to legally allow the use of federal Schedule I drugs beyond marijuana. When participants were only given the ballot title, 47 percent said they favored the measure, 46 percent opposed it and seven percent were undecided. But then the pollsters provided participants with questions that summarized the two main aspects of the measure. When the question was phrased this way, support jumped to 64 percent. Fifty-four percent said they support this part of the measure. The survey also listed a number of arguments in favor of the measure, asking respondents to pick the three they found most compelling. The most commonly chosen responses were that psilocybin can treat end-of-life anxiety and depression, replace many treatments “pushed by Big Pharma companies” and help individuals suffering from addictions like alcoholism. Interestingly, in spite of how the substance is often portrayed in popular culture, only six percent thought the idea that psilocybin can “offer a mystical-type experience which often leads to lasting change” was a particularly compelling argument. 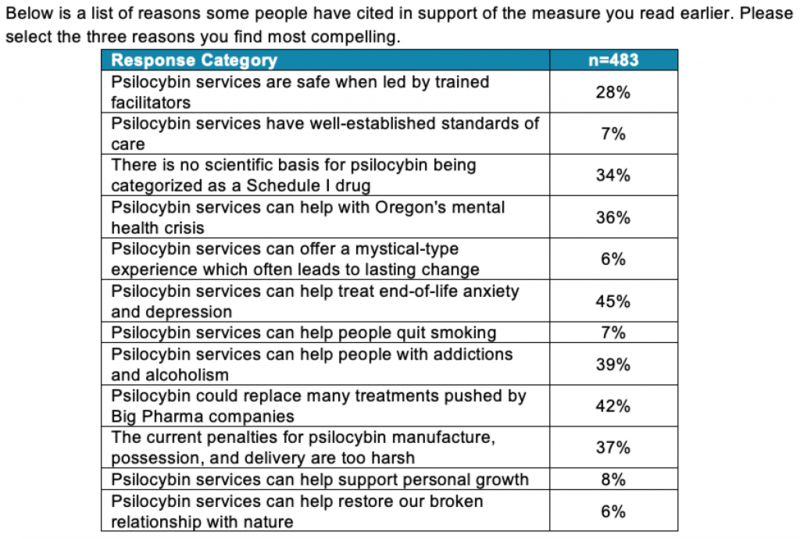 Similarly, the notions that psilocybin services “can help restore our broken relationship with nature” or “can help support personal growth” also did not seem to move a large number of voters. Only seven percent said that psilocybin can help people quit smoking, while several studies have demonstrated that effect. OPS recruited DHM Research to conduct the online survey, which involved 618 registered voters. The margin of error was +/- 4.9 percentage points. Increasingly, there’s chatter among drug reform advocates that the fungus-derived psychedelic could follow a similar track as marijuana. Both substances have research-backed therapeutic potential and pose a relatively low health risk. 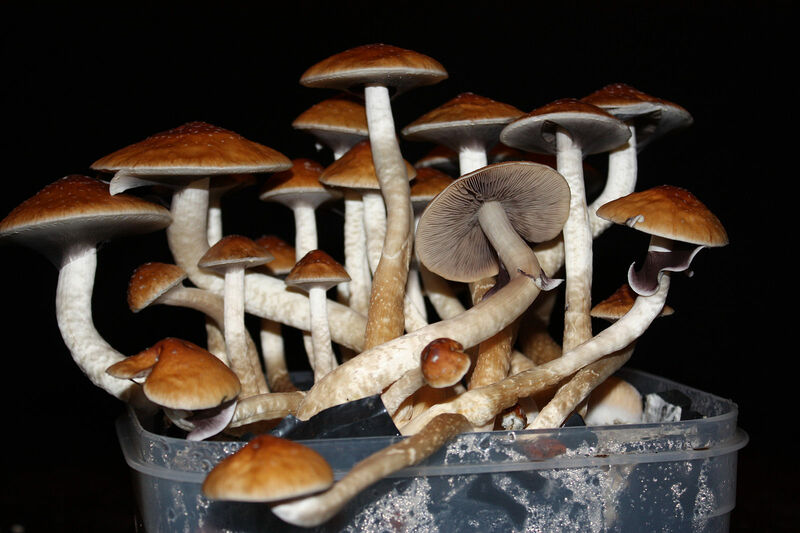 Separate from the statewide Oregon effort, a Denver-based group is also working toward reform and submitted signatures for a psilocybin decriminalization initiative earlier this month.